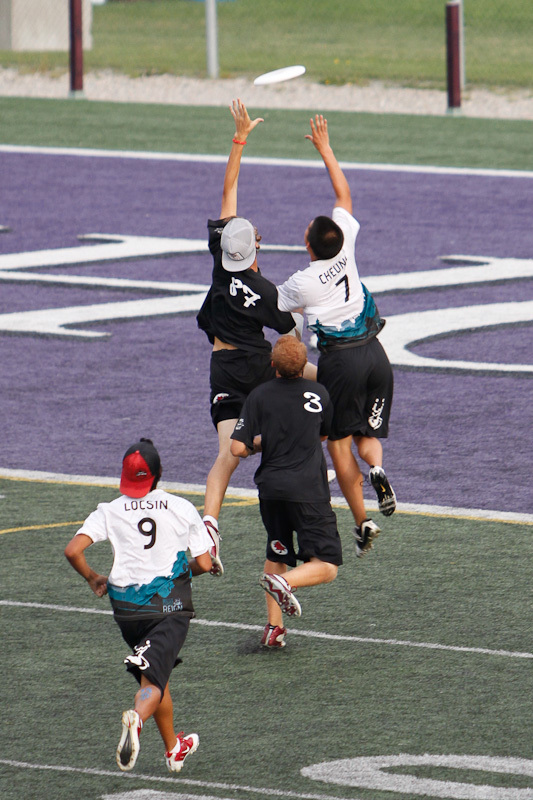 As close as we could get it to midnight here on the East Coast (before some of us head to the West Coast for the Ultimate Canada Conference) IAmUltimate along with CUC 2010 Sherbrooke brings you the Juniors Final. You’ve been asking us for quite some time and at a measured pace the finals along with other videos will be made available each and everyWednesday. Juniors, it’s time to step up and contribute however you can. That doesn’t mean contributing to this website (although that is appreciated as we need writers and graphic artists and those with ideas) but it means getting a high school team started. If you’re a senior and leaving then go home in the summer and help coach at your old school. Tell your friends about the game and get a Juniors or High School league started. Yes, it will be hard but it’s worth the effort, you were. You can find the Juniors Final on our CUC 2010 Videos Page as well as right here: Watch Now. This entry was posted in Canadian Ultimate, CUC, Juniors, Media, Tournaments by Tushar. Bookmark the permalink.